The universe was never quite the same again after 1905. Our understanding of space, time, matter and energy was transformed by a 26-year-old civil servant working a 48-hour week at a Swiss patent office. A “respectable Federal ink pisser” was how Albert Einstein described himself. He didn’t even have a PhD. But at the Patent Office, the man who had failed to find an academic job had a secret drawer – it was, he told his friends, the department of theoretical physics. And in 1905, after six months of intensive thought, five scientific papers emerged from this drawer that would revolutionise the laws of physics. My illustrated biography of Einstein was published in 2003. If you’re interested in the impact of science on history and culture, then you certainly can’t ignore Einstein. Over half a century after his death, his face (and unruly hair) are still synonymous with genius. He never courted fame and unlike many scientists he was not interested in positions of power and influence, though many – including the presidency of Israel – were offered. Almost as much as his science, Einstein’s character has endeared him to the public. An outsider in the scientific community, unconventional in his personal life, and unafraid to speak his mind on politics, he has become the twentieth century’s pre-eminent scientific icon. During the 2005 Einstein Year, I was asked to take part in a Horizon programme for BBC TV, Einstein's Unfinished Symphony. We filmed in Einstein’s home – 49 Kramgasse, Bern (now a great little museum) – where he wrote most of his famous 1905 papers. The film makers also arranged access to the former patent office in Bern where Einstein worked for many years. The building is now owned by Swiss Telecom and the room is just another anonymous office. But the view from the second floor window of the Bern roof-scape is largely unchanged. It was fascinating to imagine him gazing out a hundred years earlier, surfing away on a wave of light to escape his mundane work. While staring at those same Swiss rooftops in 1907, he realised that a person falling from one of them (a Bern builder perhaps?) wouldn’t feel his own weight. It was one of those rare eureka moments and it led to the general theory of relativity. The calculations took eight years – in comparison the special theory was “child’s play”. According to physicist Max Born, it was “the greatest feat of human thinking about nature, the most amazing combination of philosophical penetration, physical intuition, and mathematical skill.” Einstein has been translated into Korean, Portuguese and Spanish. (Please contact the publishers, Haus, for foreign rights details.) 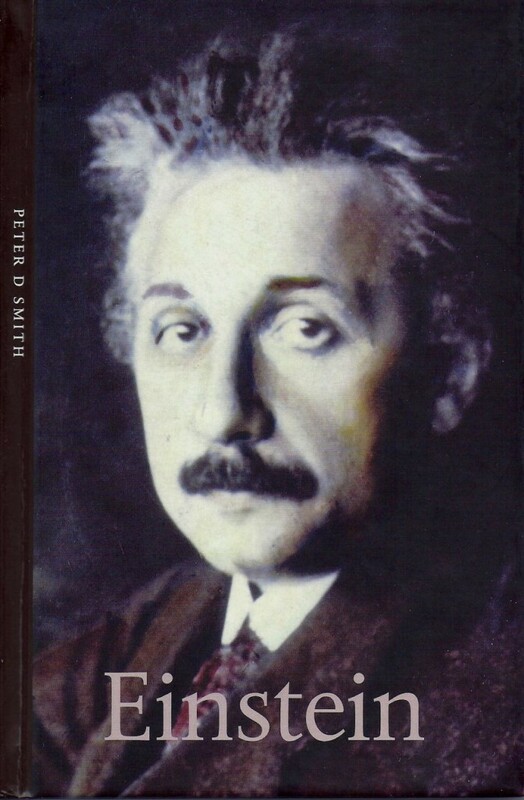 During 2005, I also took part in some BBC radio programmes on Einstein and wrote a review article for the Guardian on The Genius of Space and Time, covering the major Einstein publications of the centenary year.